The use of industrial byproducts in concrete applications is a scientific area of great interest over the past several years, and steel slags are acknowledged as having great potential for such use; however, the utilization rates are relatively low. The main barriers identified for this occurrence are failure to quantify benefits in terms of quality of the final product, environmental benefits, as well as cost reduction. The present research attempts to quantify these aspects for five different concrete applications examined as case studies. 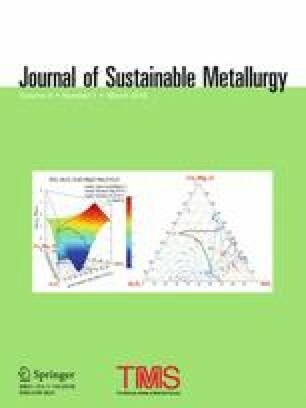 Laboratory-produced alternative concrete mixtures with steel slags are compared with ordinary reference concrete mixtures for their performance regarding mechanical characteristics and durability, environmental benefits using life cycle assessment, and cost estimation. The results show that there is great potential for the use of steel slag in concrete, but the benefits need to be determined for each specific use, since the values observed vary greatly depending on the application. Industrial pavement and heavyweight concretes seem to be the most favorable applications for steel slag, while the shotcrete and repair mortars examined benefited less from the use of slag. This research work was developed within the framework of the SLAGPROD Project 2011–2015, funded by the General Secretariat of Research and Technology in Greece. Also, part of the research was developed within a scholarship, funded by the Act “Support of research manpower, through the development of PhD research,” coming from resources of the OP “Human Resources Development, Education and Lifelong Learning,” 2014–2020 with support from the European Social Fund and the Greek Government.